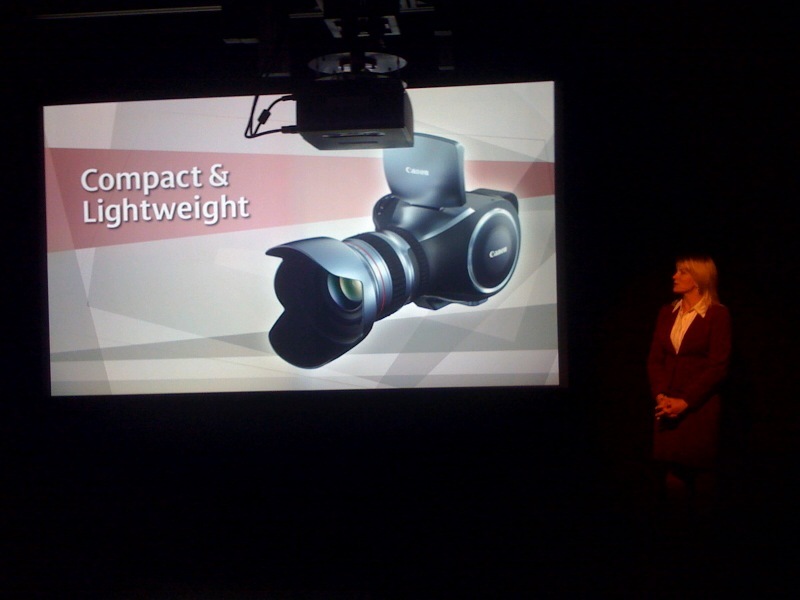 Canon 4K "Concept" Camera, etc. Even though this is a concept product, you'd never know the way they were pitching this thing at the show. If anyone thought this camera was headed for market, Canon has only itself to blame. 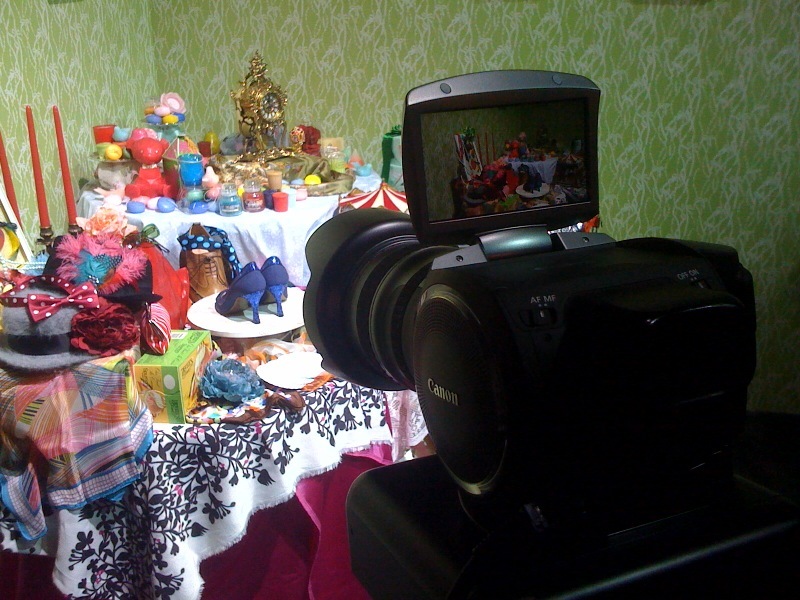 It had its own booth as well as a 4K demo screening along with live announcer. Very officious. 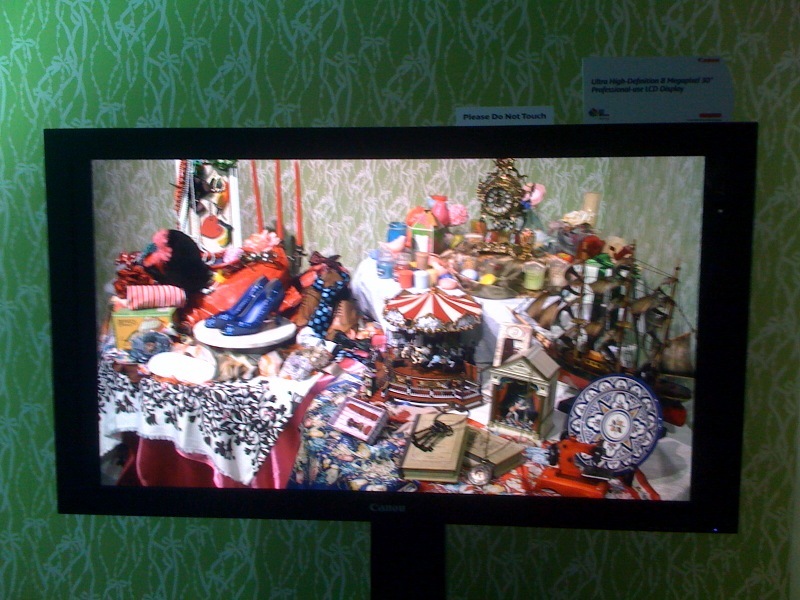 The 4K displays were the tastiest thing at the show. Hopefully these aren't "concept". 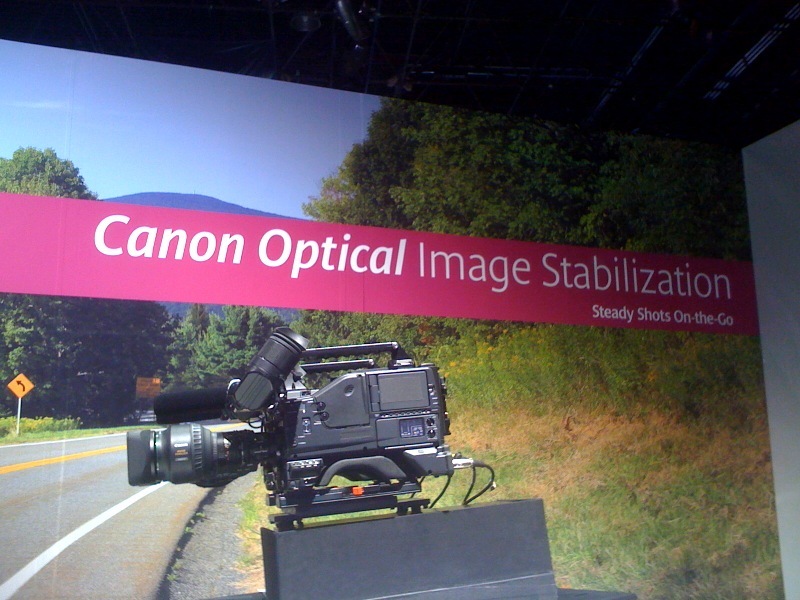 I think Canon really has the right idea to put the IS (Image Stabilization) inside the lens instead of the camera head or optical block. This makes their lenses far more forwards compatible and in this new era of tiny video enabled SLR's, having the IS makes a massive difference. Eventually when they get the jello shutter sorted out, it won't be as critical but for now, it's a great work through. Apparently in addition to cameras, commercial printers, and medical equipment; Canon also makes superior ice skates. Who knew? And let's not forget the Canon Fashion Show. Cutting edge! No sign of the elusive 24-70 2.8L IS or the evolution of the 5D Mk2. Photokina is right around the corner though.. C'mon Canon. Just f-n do it.